Jurg Steiger is a well-known botanist, talented author of numerous publications and articles and the Precursor of the culture of Temperate Pinguicula with his famous Steiger wall. He lives in Switzerland, in Bern (see Map). 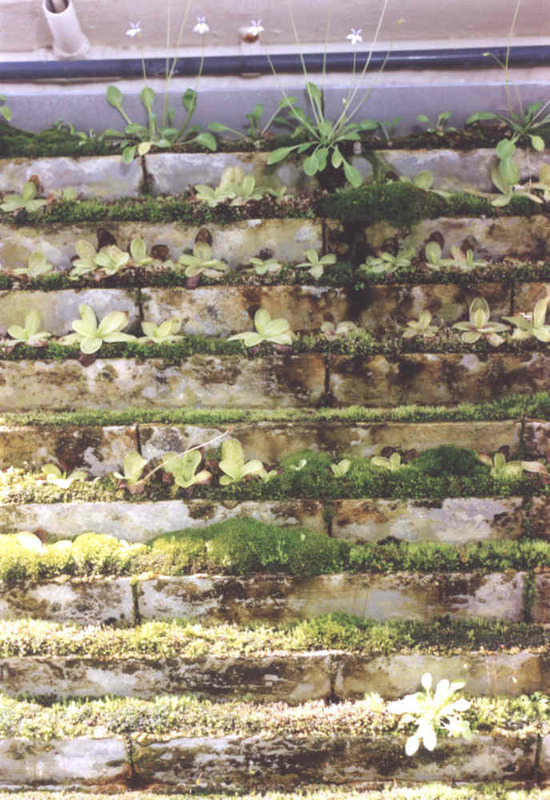 Here is the famous Steiger's dripping wall used by Jürg Steiger to grow most of his Temperate Pinguicula. 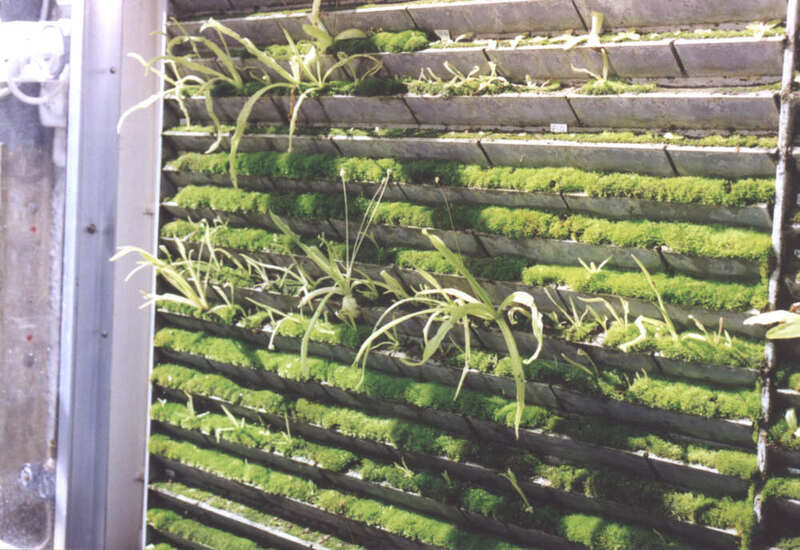 It is fixed in a greenhouse along the north-east wall of his house. "I live in Central Europe, in a suburb of Bern, at 600m, 25km north of the Prealps. Summer maxima reach+30°C, winter minima -15°C. 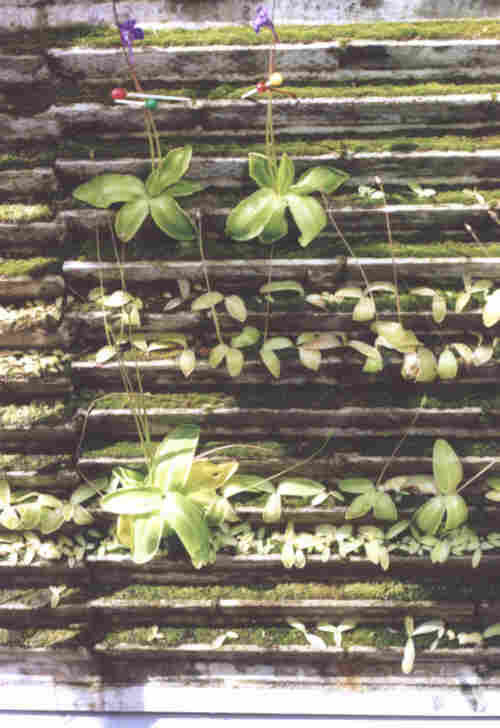 I grow most Pinguicula on vertically positioned PVC sheets (20mm thick) equiped with horizontal 'lamellas' put into 45° angle slits. The vertical distance from lamella is 40mm. 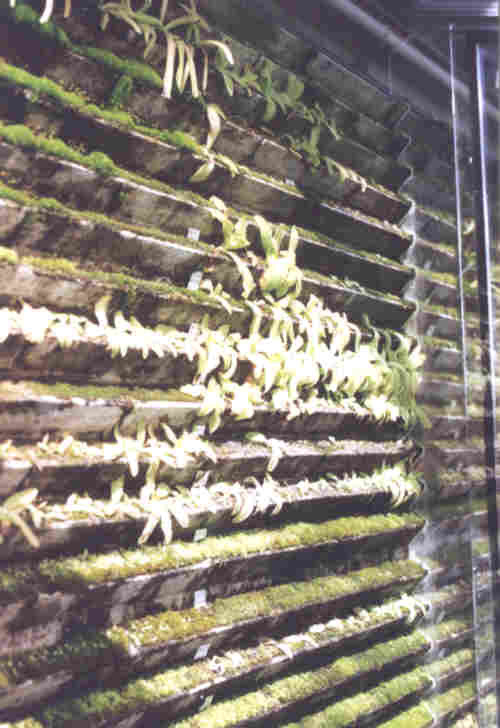 The lamellar sheets are fixed within a greenhouse along the north-east wall of his house which is surrounded by some trees on the east side. 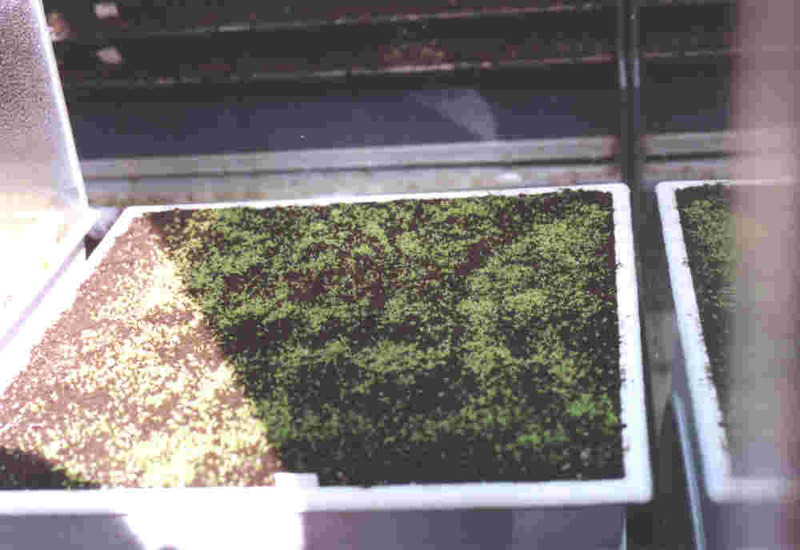 From mid-December till mid-January the plants do not get any sun at all. In summer they get 1-2 hours of sun in the morning when the sun appears between the trees and the projection of the roof. A timer allows water to trickle from time to time though the substrate which never be too soggy (to avoid rootness). The greenhouse is divided into three climate compartments. In all three compartments there are fans to produce wind for 15 minutes each hour and ultrasound fog machines to produce high air humidity. Pinguicula crystallina on the dripping wall. A strange plant with flower and rosette looking closely to rosette and flower of Pinguicula crystallina. Is it a lure to use the same pollinator as P. crystallina ? The two plants are growing close to each others in habitat. Unfortunately, I can't remember the name of this strange plant. 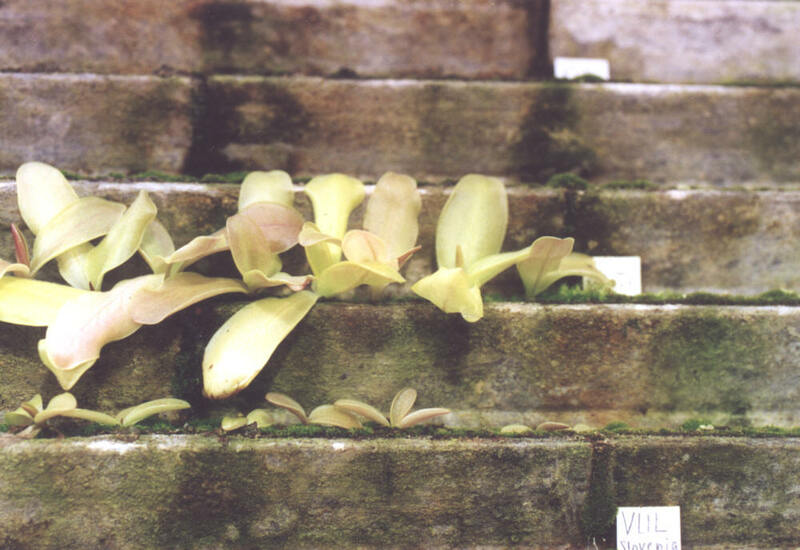 Pinguicula vallisneriifolia growing vertically as in his habitat in Spain. 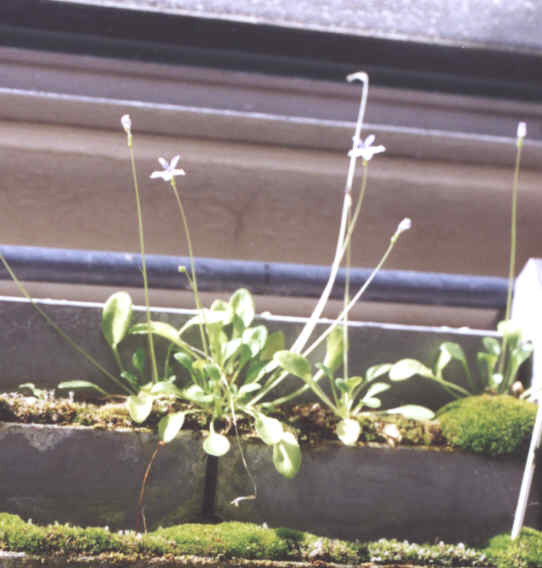 Pinguicula grandiflora, Pinguicula corsica and Pinguicula vulgaris. 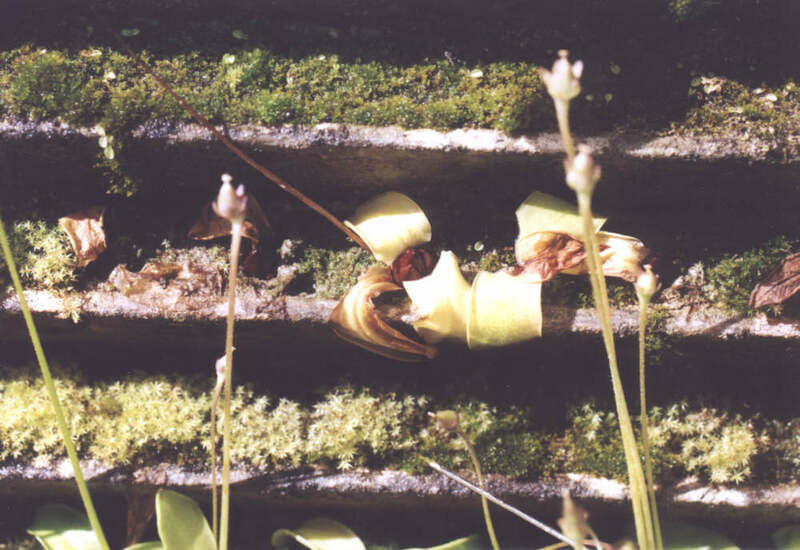 Close-up of winter hibernacula of Pinguicula grandiflora. 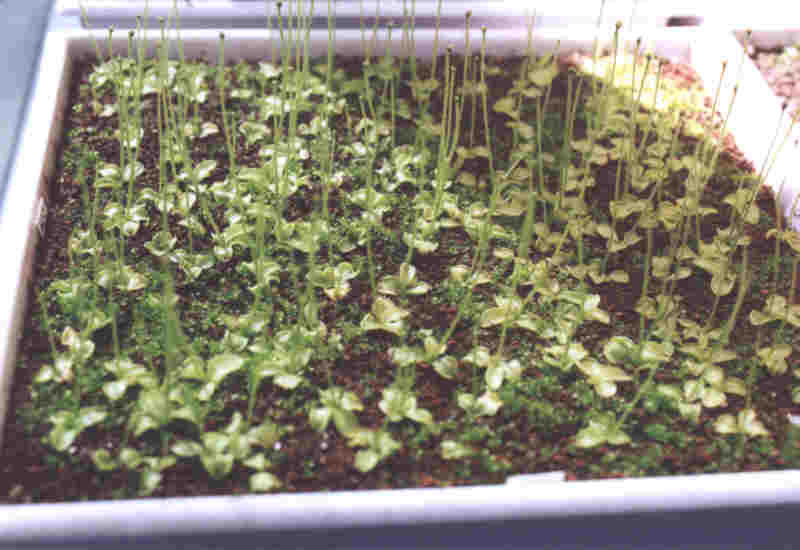 Pinguicula ramosa, grown on an organic media (peat) mixed with pouzzolane. 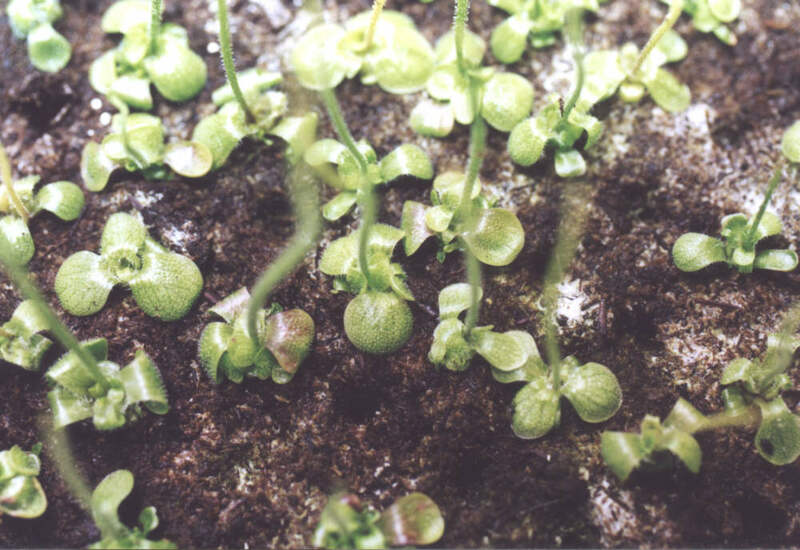 Pinguicula variegata on pure spagnum peat. 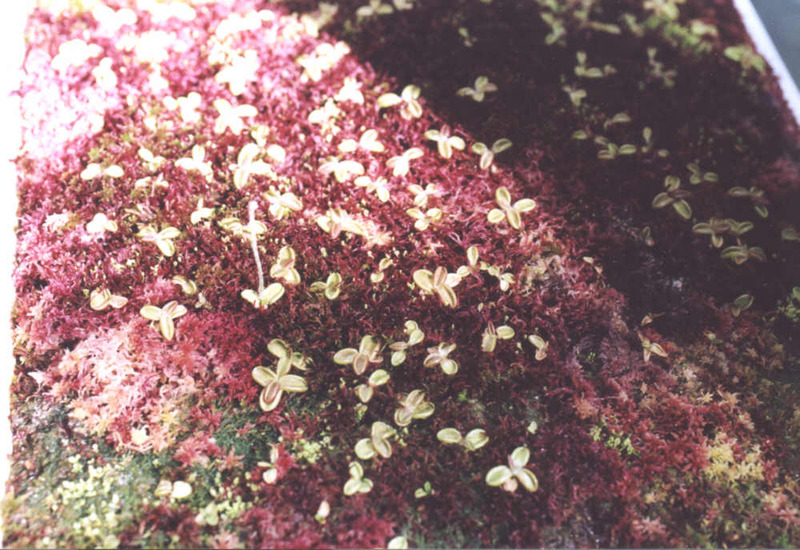 Pinguicula villosa in live red sphagnum. It is not easy to find a sphagnum with small head and that grow at the same speed as P. villosa (very slowly ! ).